Football’s worst kept secret was finally confirmed on Monday as Real Madrid ended head coach Julen Lopetegui’s misery by handing him his P45 after a 5-1 thumping at the hands of arch-rivals Barcelona. Unsurprisingly, every man and his dog has quickly jumped on the ‘who’s next’ in the Real Madrid hot seat conundrum and inevitably Mauricio Pochettino’s name has been banded around as being a firm favourite to land it. If rumours are to be believed, Real made an approach for Pochettino in the summer before handing the reins to Lopetegui but Poch turned them down in favour of continuing his Tottenham project. However, that was before the stadium debacle AND the closure of the summer transfer window in which Spurs famously made no signings. There have been signs of discontent from Pochettino with the Argentine conducting more than one out of character press conference and that has led to many claiming the former Espanyol manager could be heading back to Spain sooner rather than later. However, if he does, he will go in the knowledge that he was not the first choice. The mutterings coming out of Madrid are that current Manchester United boss (and former Real manager) Jose Mourinho is the man the Real hierarchy want despite leaving the club at the end of the 2013 season in a ‘mutual agreement’. There does appear to be something of a love in though with Real Madrid President Florentino Pérez stating that Jose Mourinho would one day return to the club with Perez eager to land his man once again. Jose himself feels there is some unfinished business in Spain after falling out with the media. A challenge to prove the media wrong may be all the motivation Mourinho needs to end his Manchester United tenure after a poor start to the season. If that is the case, then that is good news for Tottenham with Pochettino more than likely to stay. 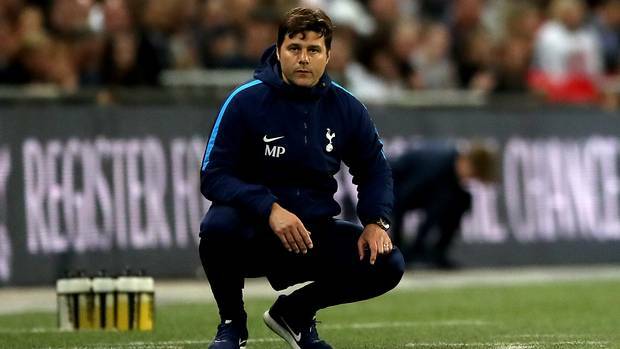 Stadium frustrations and a lack of transfer activity are all things that can (and will be) remedy with time but walking out on Spurs will mean there is no going back for Pochettino. And that is a risk he is unlikely to take.